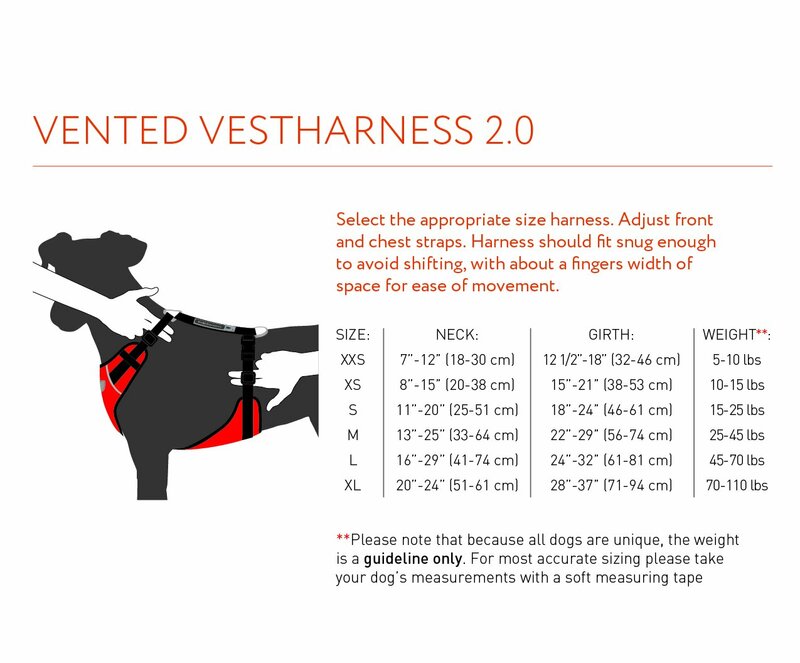 Keep your pet safe and secure with the new Canine Friendly Vented Vest Harness 2.0. The new stronger design is made from breathable air mesh fabric and soft quality webbing. Harness can be used as a car restraint, chest protector and soft walking harness, all in one easy to use device. The new design features adjustable neck straps and a fully adjustable girth. The Vented Vest Harness easily connects to seat belts through the seat belt attachment loop, making vehicle safety convenient. Harness features nickel plated hardware and is machine washable. Available in a variety of sizes and colors.